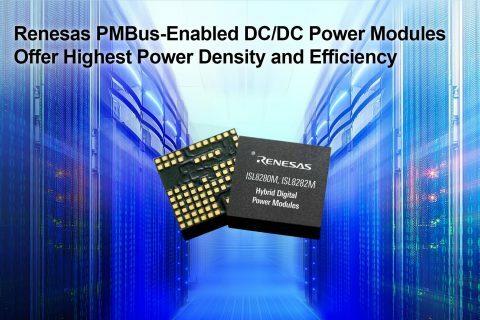 Renesas Electronics Corporation (TSE:6723), a premier supplier of advanced semiconductor solutions, today announced a pair of new encapsulated hybrid digital DC/DC PMBus™ power modules, the 10-amp ISL8280M and 15-amp ISL8282M. The hybrid digital power modules offer best-in-class power density of 115mA/mm2 in a 12mm x 11mm package, with up to 95 percent peak efficiency. They are complete single-channel, synchronous step-down regulated power supplies that operate over a wide input voltage range of 5V to 16V.